Travel Big Sky. Premier Vacation Rental Solutions in Big Sky, Montana. Travel Big Sky Vacation Rental services are custom tailored to your home and your family’s needs. We offer turnkey, property management services for rental of private homes, condominiums and townhouses in the Big Sky areas. Our ability, experience and in-house resources allows Travel Big Sky Vacation Rental to provide homeowners with the personal service and attention to detail combined with the response, communication and strategic partnership of an established vacation rental property management company. We at Travel Big Sky Vacation Rental intend aggressive pursuit of occupancy for our rental properties, winter and summer, for homeowners interested in generating rental income. 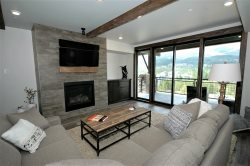 Travel Big Sky Vacation Rental has proven that a management company is most successful when owners are confident that there is always someone looking out for their homes and families best interests. With over 15 years in professional property management and real estate experience, and considerable familiarity with the area, we have the resources, skills and staff to provide our homeowners the best possible service with the personal attention to detail needed to guarantee your home will never be overlooked. Contact our office at 855.466.4667 or [email protected] and one of our property management specialists will assist you. We know you will not be disappointed! Travel Big Sky... Our SOLE Focus is Nightly Rentals and Management of Your Investment!